AMooseBush are back at Pip's Dish in Islington for another dinner, this time called Dinner of Champions. 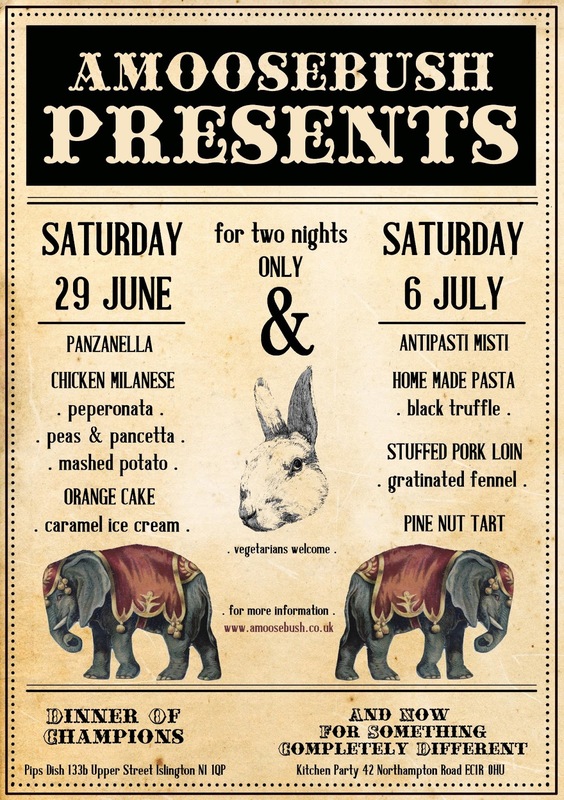 AMooseBush are also at Kitchen Party in Clerkenwell on Saturday 6th July - details of that one are here. "AMooseBush are a foursome of family members consisting of Robert, Fred, Cara and Rob who are on a singular mission to champion the regional Italian dishes that have been handed down the family through Nonna Bianca and Nonno Giuseppe. The north and south of Italy famously can't agree on how anything should be cooked and having a grandparent from each side certainly caused some fireworks in the kitchen. Now that the kids are all grown up, its their turn to make the same sparks fly as they argue about the best way to cook the artichokes. 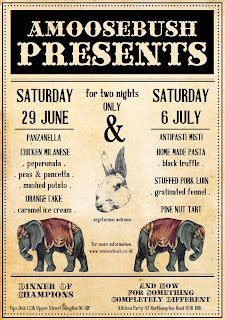 Join them on Saturday 29th June when they'll be returning to Pipsdish in Islington to cook up the dishes that they love to eat... their Dinner of Champions. Orange cake with caramel ice cream"